Rodents are a common food for raptors such as this Gyrfalcon. Seeing such a small prey item from the air requires vision far superior to humans. Once a small mammal is spotted, Gyrfalcons dive on their prey and drive the animal into the ground. Though these large falcons may take mammals, they usually hunt birds, especially ptarmigan. 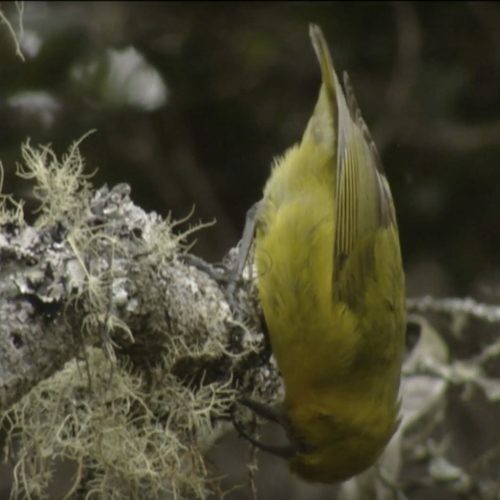 This video accompanies Chapter 8, Avian Food and Foraging, Handbook of Bird Biology, 3rd Edition from the Cornell Lab of Ornithology and Wiley Publishing.